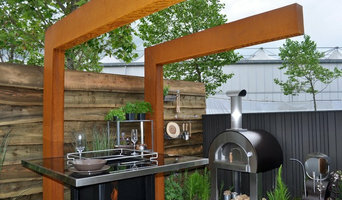 Garden Ninja, Lee Burkhill, is an RHS winning Garden Designer from the North West of England covering Manchester, Liverpool, Southport and the Cheshire region for stunning garden design. He is also one of the garden expert panellists on BBC Radio Manchester's 'Gardener's Question Time'. His Garden Design business is renowned for turning ordinary awkward spaces into stunning functional gardens. I have always had a passion for making an outside space beautiful and functional, from a tiny handkerchief-sized back yard through to a walled courtyard to a sizeable front and back garden. I enjoy every part of designing and building a garden: meeting clients and talking to them about their garden design dreams and desires, seeing their faces light up when they see my designs for the first time and their delight when their dreams become the reality. Sitting with a drink in their uniquely designed landscape in the evening sunshine. 'What could be better than that?’ Please get in touch and let me and my team help you to enjoy your outdoor space with a bespoke garden, created just for you. The Hidden garden was established in 2004. I trained as a Garden Designer at the Christopher Pickard School of Garden Design and later took Horticultural qualifications with the RHS. Prior to this my career was in marketing but I have always had a passion for Art and Design and gardening, Nature and the outdoors – so Garden design seemed a natural choice. We specialise in creating bespoke gardens where possible incorporating sensory and wildlife friendly features / planting to encourage nature in the garden. We have undertaken many commissions since we started the business working with private clients from small back yards to large 1 acre plus gardens. Some have been traditional and some contemporary even oriental themed gardens – and a forest garden theme. Clients requirements have ranged from wanting a place to encourage wildlife and grow produce to places with interest such as waterfalls and ponds, gazebos and arbours even wildflower meadows. Many clients simply want a well designed garden with interesting features and planting somewhere to relax and chill or to entertain. As well as private commissions, which we have undertaken as far as Manchester, Leigh, to theWirral, Southport, Formby and Liverpool and surrounding areas. 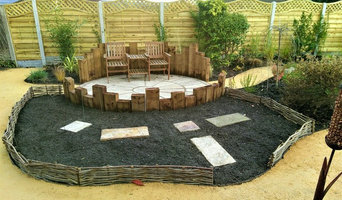 We have done many sensory gardens for schools and designs for Hospices. A project we designed and built earlier this year a garden of remembrance for St Peters Church in Formby – it had a tear drop shaped wildflower meadow, a handkerchief tree, spiral garden and natural self-binding paths and native species hedging and trees. We have created many unusual garden for schools working collaboratively with other artists and sculptors to create bespoke and unusual features in the garden from turf labyrinths with sheep carved from reclaimed wood and cork to giant chimes and turf sculptures, growing areas and woodland paths. We offer a friendly service including design and consultation to construction and consider any brief often the stranger the better as we enjoy a challenge and the opportunity to be creative. A small, independent landscape and garden design studio based in Liverpool, with a passion for designing distinctive, imaginative and memorable places. We work with private individuals, communities, commercial clients and public sector organisations, offering high quality landscape design services, tailored to the specific needs of each client. We are experienced in a wide range of landscape sectors and love to get involved in any project that needs a creative vision to create a new space or rejuvenate an existing one. 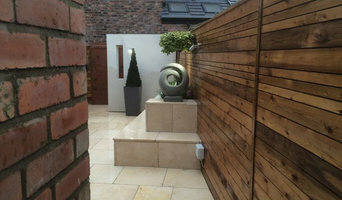 Aspire Landscapes are a well-established Merseyside-based team of garden designers offering a range of landscaping services from small planting schemes to a complete redesign and build. Our experienced team of professionals cover all aspects of landscaping, gardening and horticultural labour with precision, exceptional care and a friendly approach. Like our name suggests, we Aspire to help you make the most of your outdoor space and to make it an extension of your home. Our goal is for your garden to become the best part about your home. The methods we take to deliver our craft allows us to create a diverse portfolio of landscape projects with innovative design and our clients at the heart of our duties. We only invest in the best UK suppliers and work to the highest standards to create exactly what you desire. You may have a fully realised idea of what you want your garden to look like, or you may be open to discussing ideas around how you want your garden to make you feel. Either way, our interpretation of your vision to create your dream outdoor space is always specific to you and your needs. We work closely with our clients and advise them from concept to completion and help them realise the potential in their project. Highly skilled in many different elements of our trade, our close-knit team of professionals can transform your outdoor space from the ground up into a revamped and modernised haven of relaxation. Perhaps giving your children a safe space to play, longing for a beautiful area to host parties, or even discovering your love for veg growing? All of this and more is possible with Aspire Landscaping, so put us to the test. Dempsey Landscaping Liverpool have over twenty years experience within the landscape construction and paving industry. We are particularly passionate about aproviding a high quality service, using only the best products to ensure the longevity or your garden. We specialise in the installation of high quality natural stone paving for beautiful and long lasting driveways and patios. Based in Mossley Hill, Liverpool we cover all of Merseyside and the surrounding areas. Tim Does Gardens was founded by Plantsman and Horticulturist Tim Batchelor in May 2016. Tim studied for a year at Kew Gardens and has a BSc. Honours degree in Horticulture from Wye College, University of London (now part of Imperial College, London). He started his career as a Management Trainee with a large garden centre group and then as a Practical Instructor at a horticultural college. Tim Does Gardens has created beautiful gardens for many clients in Richmond, South West London, and since summer 2017 also in Chester and the wider Cheshire area. We specialise in adding plants to your garden to give you the dream garden you have always wanted. Our gardens look wonderful in every season, even in Winter! We are available to give you advice, add a whole planting scheme or simply rejuvenate a single border if you prefer. Kirman Design offers an RHS gold medal winning garden design and landscaping service in Manchester, Cheshire, Merseyside and Lancashire. Every design is specifically tailored to the requirements of private and corporate clients needs, with great attention to detail especially if you want something interesting, unusual or 'personal'. We work on large and small jobs but whatever the size, we work closely with our customers and work hand in hand with specialist contractors in order to create quality gardens of distinction which meet and exceed our clients expectations. We have a range of services on offer from consultation advice, planting plans, through to supply and planting of specimen plants and to full garden design and construction and after care services. To find out more how we can help you, you can call us on 01942 604976 or visit our office, located in the plant area at Bents Garden and Home, Glazebury. Due to the nature of our business, it is advisable to ring and make an appointment before you visit. We are Landscape Architects & Garden Designers and create inspiring, innovative and high quality work which meets real-life budgets. We offer sustainable landscape design solutions and will plan & source all materials and inspect each project from start to finish. A landscape architect will handle all design, supply, construction and administrative elements of your garden or landscaping project. They will take into account your needs, the Liverpool, Merseyside climate and unique advantages and constraints of the landscape architecture. Typically, work will be based on ecological and environmental considerations, and a garden will be planned not only to look its best but also to facilitate future maintenance and growth so that it continues to flourish. A Liverpool, Merseyside landscape architect can also design any outdoor buildings that are to be featured in your garden. Everything from design blueprints through to the plants themselves should be provided by your Liverpool, Merseyside landscape architect. If there is other architectural development taking place on your site, bring the landscape architect in as early as possible. The expertise a landscape architect can apply to understanding your space and the natural environment could be vital to planning your project. Let your Liverpool, Merseyside landscape architect work closely with your architect, surveyor and any other contractors in order to develop landscape architecture that works in accordance with any other construction. This is important from a design perspective as well as on a practical level – changes to the grading of a landscape and modifications such as drainage can have serious implications on the viability of your land for extensive building and structural works. In order to resolve any planning permission issues, submit all applications for building and landscape architecture together, well ahead of the project. The scope of garden designers, or landscape gardeners, is often more limited to green space projects which will optimise your existing outdoor space rather than altering the landscape architecture as a whole. 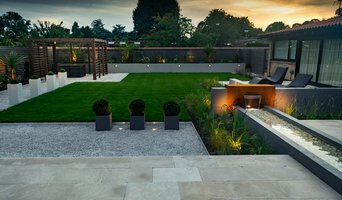 Whereas landscape architects specialise in the structural aspect of garden planning and building, garden designers in Liverpool, Merseyside will carry out projects that are of aesthetic and horticultural value. Landscape gardeners will make your garden the best version of itself with features such as walkways, patios, water features, fences and lighting, as well as choosing the right plants, trees and flowers. The practical role of a garden designer may vary by firm – some offer just the plans, requiring a separate contractor, while others fulfil the project in its entirety, from conceptualisation of the landscape gardening to construction. Don’t be put off by the former if you happen to find a good Liverpool, Merseyside garden designer that you like – he or she will have local industry connections to introduce you to quality, reliable gardening professionals with whom they have existing relationships. Here are some related professionals and vendors to complement the work of landscape architects & garden designers: Landscape Contractors, Garden & Landscape Supplies, Tree Services, Lawn & Sprinklers, Decks, Patios, Sheds & Summerhouses. How do I choose landscape architects or garden designers in Liverpool, Merseyside? When choosing your Liverpool, Merseyside garden designer or landscape architect, be sure to research their qualifications and look at examples of their previous work. A portfolio of previous landscape architecture or garden projects is important to ascertain both their credentials as well as their style. Once you have shortlisted or chosen your architect or designer, an on-site meeting is essential so they can see exactly what they’ll be working with. Stay briefed on all plans and developments, both before and during the project as a plan you approved previously may change during the course of the project. Be very clear on your budget – just like plans, costs may alter while work is underway so ensure your professional keeps you informed and does not incur additional expense without approval. If you are open-minded and budget-conscious, consider approaching new graduates keen for experience, who may negotiate a lower rate than more experienced professionals. How long have you been landscape architects or garden designers in Liverpool, Merseyside? Find a landscape architect or garden designer on Houzz. Narrow your search in the Professionals section of the website to Liverpool, Merseyside landscape gardeners. You can also look through Liverpool, Merseyside photos to find a garden you like, then contact the garden designers in Liverpool, Merseyside who worked on it.